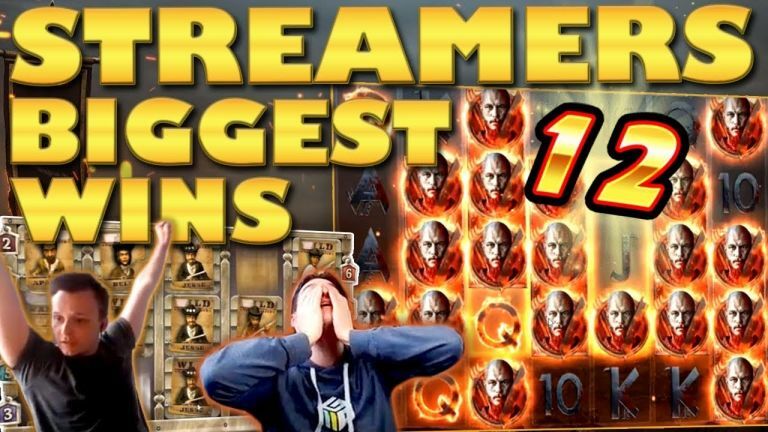 This will be the last streamer’s big win video for the month of March. Hence we have a large number of casino streamers that we feature. Moreover, the slot machines shown are a good blend of new and old. Furthermore, there is a bonus clip at the end today as well. This time we have a rare hit on table games. Thus let’s take a better look at the wins. Jammin Jars is back baby! We didn’t see much of Jammin in the last few compilation clips. 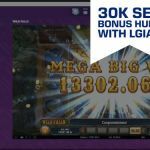 However the popular Push Gaming machine is back with two spectacular bonuses for two different streamers. First it was Spajek playing the game on £1 bets at LeoVegas casino. Four wilds later, and after numerous winning combinations the total result was a massive 1529x the stake. Another win on Jammin this time from Rex Borgersen on Casumo. Here the bonus was slightly smaller than the first. However thanks to the €2 bet, Rex got a much bigger payout. From one Push Gaming powered slot to another. Specifically we take a look at Nick’s big win on Tiki Tumble. This is my personal favorite slot from the provider, and after watching Nick’s hit you can understand why. The potential is tremendous, especially through the combination of numerous wild reels with premium symbol. Now from a slot I like to one that I really don’t. I am talking about NetEnts Vikings. However despite my feelings I have to admit the game can pay a lot. 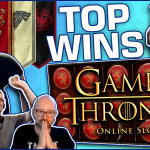 Multiple casino streamers have managed to get insane wins on Vikings. 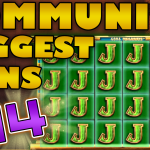 This time it was Casino Land who joined the list with a sick bonus and a 1428x the bet win. If I were to pick to of my favorite types of bonuses on a slot - It would be expanding symbols and sticky wilds. Coincidentally, we feature both on today’s compilation. The expanding symbols bonus comes from Book of Dead which D-Labs was playing at Rizk casino. One spin on the bonus round was all it took. Thanks to 4 explorer symbols expanding the win was an epic 1116x the stake. As for the sticky wild bonus, we have to thank Apehehe for that. The Fin played Roman Legion on a €3.5 bet. Thus, after getting the free spins, he managed to lock 9 wilds on the screen for a sick €4413 total payout. The biggest hit we have for you today comes from Jimbo Casino. Moreover, the win comes from a slot with which Jimbo has good history. Specifically Dead or Alive, on which Brit has gotten one of the biggest slot wins ever recorded. However today's, 2547x the stake hit, is by no means small. 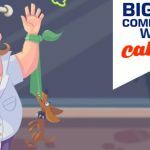 Finally, we complete the big win compilation wit a bonus buy on Genie Jackpot. Fruity Slots is the lucky player here, thanks to the usual mystery symbols feature. This is by far the most volatile of all four bonuses this games boosts. 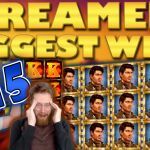 Tell us which win on Casino Streamers Biggest Wins – Week 12 of 2019 was your favorite. Moreover, share your thoughts in the comments. Also, make sure to check our other videos on CasinoGround’s YouTube channel.